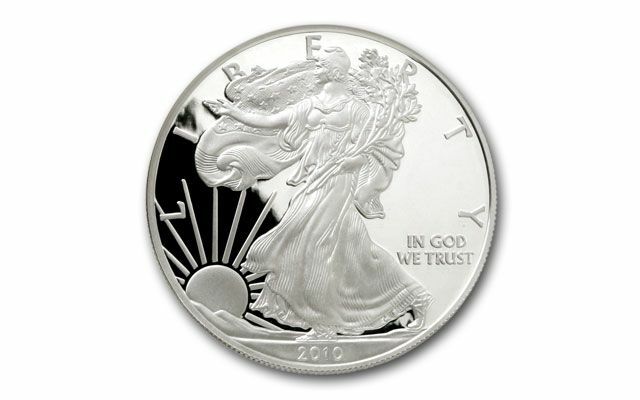 Proof Silver Eagle Collectors breathed a 'collective' sigh of relief in 2010. Why? 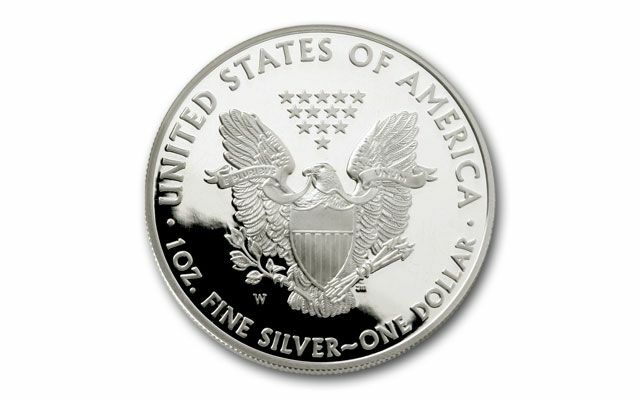 Because the wild and crazy silver market of 2009 caused the mint to shut down production of Silver Eagles more than once, and since they're not required by law to produce Proof Silver Eagles, none were struck in 2009. So, when they did strike them in 2010, collectors relaxed. The mint has produced them every year since. But, what does this mean for new collectors, or collectors who didn't get theirs in 2010? It means this Proof is incredibly difficult to find today, because they were snapped up by eager collectors who were afraid they could be the last Proofs made. 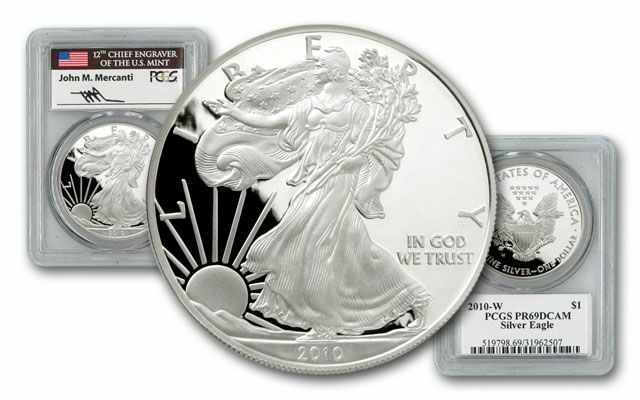 Luckily, we've managed to locate a small number of 2010 Silver Eagle Proofs. Each grades Proof-69 (PR69) by Professional Coin Grading Service (PCGS). But, there's even better news. 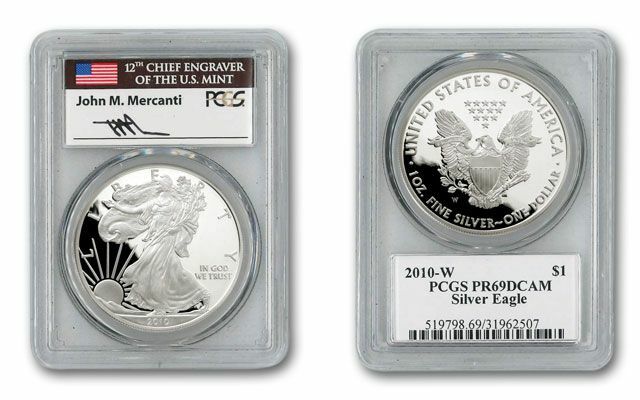 Each features a label hand-signed by John Mercanti, the 12 Chief Engraver at the U.S. Mint and the designer of the Silver Eagle reverse. Add this great find to your collection now!